NW3C provides a nationwide support system for law enforcement and regulatory agencies tasked with the prevention, investigation and prosecution of economic and high-tech crime. encryption, and the dark web. For over 40 years, NW3C’s comprehensive training programs have helped law enforcement professionals master the principles, concepts, and skills they need to fight cyber and economic crime. Our newest initiative offers law enforcement and the private sector the opportunity to earn professional certifications. 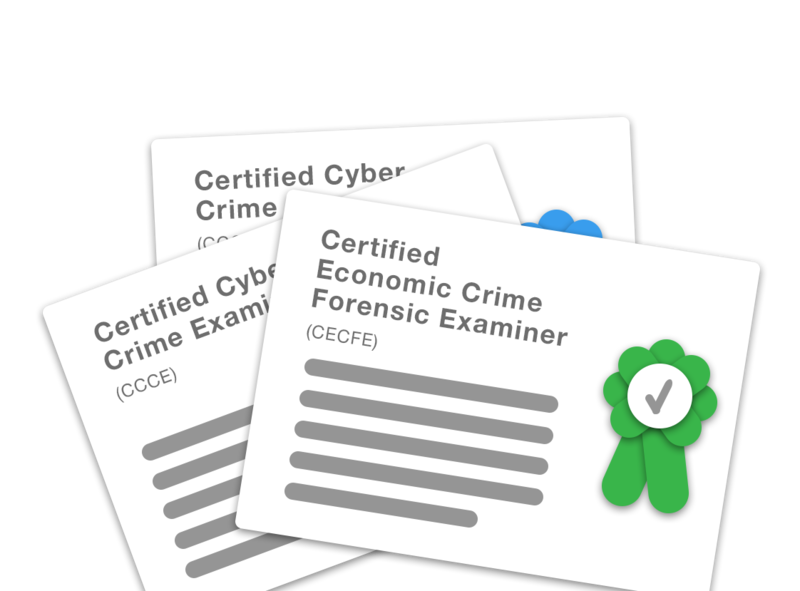 NW3C certifications, backed by our industry-leading expertise and reputation, attest to demonstrated competence in digital forensics and/or the investigation of illegal financial activity. An online toolkit designed to meet the specific and practical needs of chiefs, investigators, line officers, digital forensic examiners, technical support staff and other practitioners.